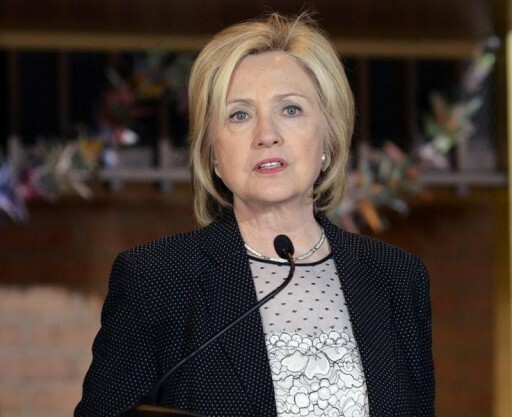 Washington – Hillary Clinton did not give the U.S. State Department at least 15 emails from her personal server from her time as secretary of state, the department said on Thursday, undercutting her claim that the 30,000 emails she provided were a complete record. The State Department learned the email record was incomplete after U.S. lawmakers investigating the deadly 2012 attack on diplomatic staff in Benghazi, Libya, were given several previously undisclosed emails discussing Libya by Sidney Blumenthal, an old friend and informal adviser to Clinton. Most government workers are required to use government email addresses, and Clinton’s unusual use of a private email address connected to a server in her home while working as the top U.S. diplomat has exposed her to criticism that she side-stepped record-keeping and transparency rules. Trey Gowdy, the Republican congressman in charge of the select committee investigating the Benghazi attack, said Clinton’s incomplete email record “raises serious questions”. Spokesmen for Clinton have declined to answer questions about her email records since evidence of the gaps first emerged last week when Gowdy’s committee released the additional emails provided by Blumenthal. In March, Clinton said in an impromptu news conference at the United Nations headquarters that she gave the State Department all her emails that “could possibly be work-related”. She said that the 30,490 emails she handed over included all that referred to Libya or Benghazi, and included all work-related correspondence from what her office described as “long-time friends”. Most of the 15 previously undisclosed messages between Blumenthal and Clinton were in the form of long memoranda filled with intelligence on the turmoil in Libya. Blumenthal could not immediately be reached for comment.